Camzilla has something missing from that outfit, pearl,trench,stupid handbag......missing is a large paperbag, my goodness she is ugly inside and out. Does Charles need optic laser treatment ? ^ OMG she is ugly. Who does her hair ? a dog groomer ? 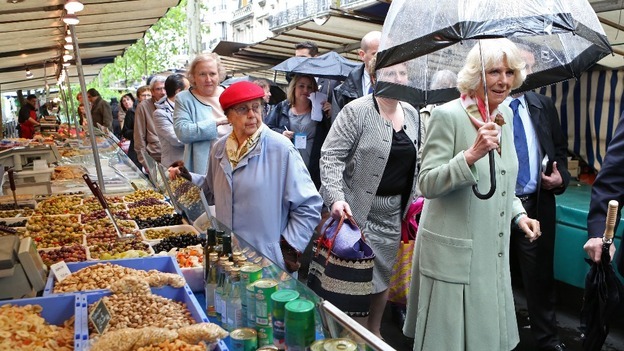 The looks on these people's faces really says that the French just fell in Love with Camilla. This guy is thinking who let the horse this close to the food stall. 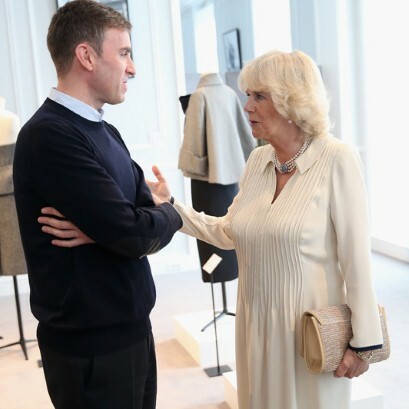 Why was Camilla visiting Dior? Pointless trip and lame PR exercise. Chuck paid for it, that's why! He wants the old sow to be seen as a fashion icon. The people at Dior were real happy to see her-not! They made a fortune off of the cow and in the end, business is business. Why does not one of these dressers, stylists, clingons that are employed to make her look presentable tell her to get some good shapewear. It's not expensive you can buy good shapewear on the high street. He might have paid for her accommodations, travel and food but the taxpayers had to pay for the securities accommodations, travel and food. 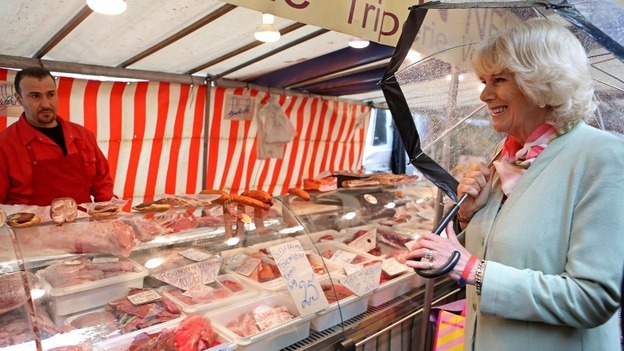 In the end her shopping trip cost the taxpayers more than it did Charles. They are probably hoping she wouldn't eat them out of business.